Photos can’t do this justice. 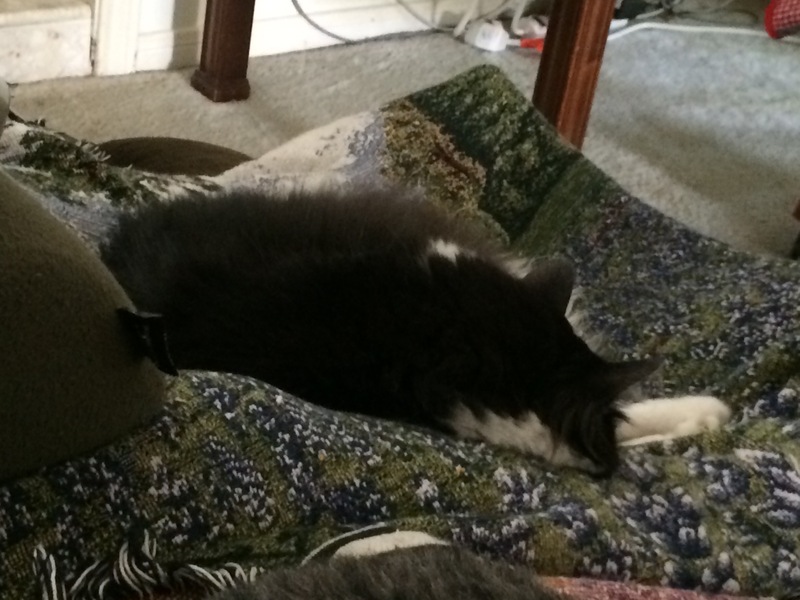 I tried to take some, but from my vantage point the cats are just furry blobs. 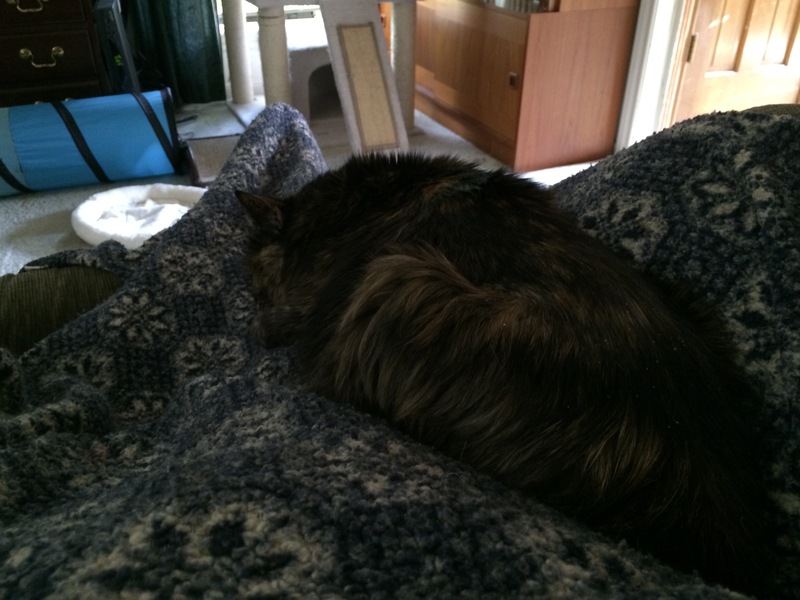 I am sitting on the recliner sofa with Patches asleep on my right thigh. 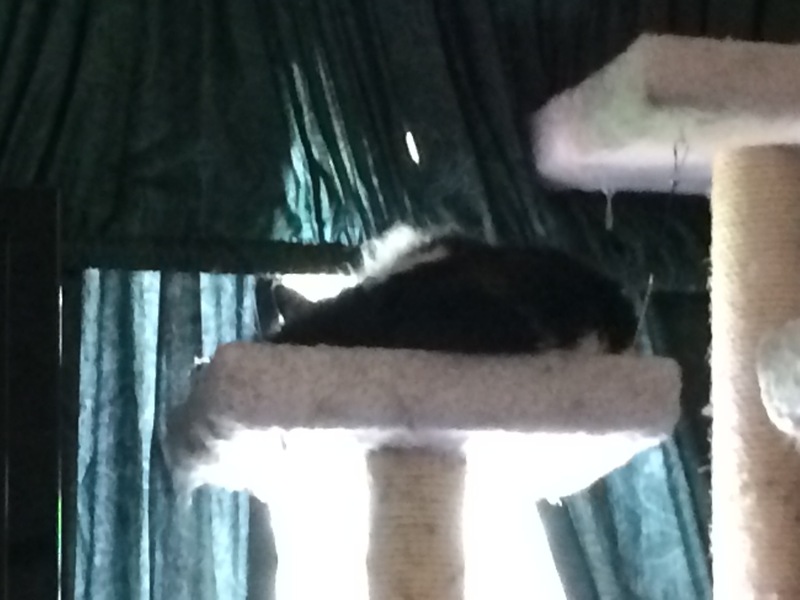 Ahead of me Pickles is asleep on the top of the cat condo. To my right Mrs is dozing on her half of the reclining sofa with Hillary snuggled down on the space between her knees and feet.